3D scanners capture the geometry of an objects and produce a three-dimensional digital model. Artec’s 3D scanners are structured light scanners. They operate by projecting light in a pattern, usually in the form of multiple parallel beams, onto an object. By projecting a grid pattern on the object, the scanners are able to capture the deformation or distortion from multiple angles and then calculate the distance to specific points on the object using triangulation. The three-dimensional coordinates obtained are used to digitally reconstruction the real-world object. Light scanners can utilize either blue light or white light, which is what Artec’s scanners use. The choice of light does not impact the processes or concepts behind the technology. Eva is a handheld, color scanner, released in 2012, that can capture and process up to two million points per second. The scanner was designed for the capture of medium to large objects. The device has a scan area of 214 x 148 mm at its closest range and 536 x 371 mm at its furthest, a 3D resolution of up to 0.5 mm and a 3D point accuracy of 0.1 mm. Eva can operate at distances between 0.4 m and 1 m from the object, capturing up to 16 frames per second. Data can be exported as OBJ, PLY, WRL, STL, AOP, ASCII, PTX, E57, or XYZRGB files types. Eva does not require a warm up period and can be used immediately upon powering on. Spider is a 3D handheld, color scanner, released in 2013, designed to capture smaller, complex objects with high resolution and accuracy. The device has a 3D resolution of as high as 0.1 mm and a point accuracy up to 0.05mm. Spider does not require markers or manual alignment during post-processing. It requires a 30-minute warm up period to achieve maximum accuracy. Resulting scans can be exported into a number of file formats, including OBJ and STL. Space Spider is a 3D handheld, color scanner released in 2015. The Space Spider utilizes a blue LED light source and has a 3D resolution of up to 0.1 mm with 0.05 mm accuracy. It operates at distances between 170 mm and 350 mm from an object. The device was initially developed for use on the International Space Station and incorporates an advanced temperature control system to prevent overheating, a common issue for electronics in space. The scanner requires a warm up period of three minutes to achieve maximum accuracy and is able to guarantee this precision even after several hours of constant use. Ray is a portable 3D laser scanner designed for capturing large objects and areas in detail, from up to 110 meters away. Released in 2018, Ray produces scans with submillimeter accuracy (up to 0.7 mm) and minimum of noise, requiring significantly reduced post-processing times. Artec Ray is suitable for reverse engineering and inspection applications, as well as historical preservation, both indoors and outdoors. This compact (under 5 kg) LIDAR solution is mobile, with the internal battery giving users up to 4 hours of onsite scanning. Color is provided via two fully integrated 5 megapixel cameras. Scans are made directly in Artec Studio software, which offers a full range of post-processing tools. Scans can also be exported to Geomagic Design X for additional processing options. It’s also possible to control Ray from a distance via an iPhone or iPad with the Artec Remote app (Wifi). Remote allows the user to make previews, select one or multiple scan areas, scan, and save the data directly to an SD card, as well as change scan settings and check battery and scanner status. The Shapify Booth is an automatic 3D full body scanning booth unveiled in 2014 that contains four of Artec’s handheld scanners and a stationary platform. The 3D scanners rotate around a person at 360 degrees to capture 700 surfaces in 12 seconds. The data captured is then automatically turned into a watertight, full-color 3D printable model in approximately five minutes. Shapify Booths can be bought or leased by businesses worldwide. Broadway is the facial recognition biometric system developed by Artec under the Artec ID brand. The device is equipped with a 3D vision system and differentiates nuanced geometry with accuracy of up to fractions of a millimeter. It requires less than one second for facial recognition and has a registration time of two seconds. Broadway 3D provides a working distance range of 0.8 m to 1.6 m and can recognize up to 60 people per minute. The technology was utilized by the International Airport of Sochi to enhance security leading up to the 2014 Winter Olympics. Artec Studio is a software program for 3D scanning and post-processing. Data is captured and split into several “scans,” which are then processed and fused into a 3D model. Artec Studio includes a fully automatic post-processing mode called “Autopilot,” which prompts users through questions related to the characteristics of the object being scanned and provides the option to be guided through the post-processing pipeline. The Autopilot mode will automatically align scans in a global coordinate system, determine which algorithms to use for post-processing, clean captured data and remove base surfaces. Upon completion, scan data can be directly exported to 3D Systems Geomagic Design X and SOLIDWORKS for further CAD processing. Artec ScanApp is a Mac OS X (supports El Capitan & Yosemite) application that allows data to be captured from an Artec Eva 3D Scanner to a Macintosh computer. Data collected with ScanApp can be processed within the software, or exported to a Windows PC for further processing with Artec Studio 11. Artec Scanning SDK is a Software Development Kit (SDK) that allows for individuals or companies to tailor existing or develop new software applications to work with Artec’s handheld 3D scanners. Ships and parts for the Dutch Royal Navy, for conducting precise repairs and creating reverse-engineered parts. Pre- and post-surgery facial masks for patients undergoing aesthetic, plastic and reconstructive operations. Historical artifacts by 11th and 12th grade students at Mid-Pacific Institute as part of its Museum Studies coursework. Television host Larry King, former president and chairman of Marvel Comics, Stan Lee, and American singer, songwriter and actress, Christina Milian, for the creation of miniature figurines by CoKreeate. ^ Millsap, Bridget. "Artec & 3D Systems Team Up to Offer 3D Scanning Hardware & Software Packages". 3DPrint.com. MecklerMedia Corporation. ^ Gangal, Sanjay. "Andrei Vakulenko, Chief Business Development Office Artec 3D". MCADCafe. Retrieved 10 February 2016. ^ Hart, Michael. "St. Cloud State Equips Visualization Lab With 3D Scanners". Campus Technology. Public Sector Media Group. ^ Lewis, Tanya. "Zombies and Prosthetic Limbs? The Many Uses of 3D Scanners". Live Science. Purch. ^ a b Benton, Brian. "Reverse Engineering 101". Desktop Engineering. Peerless Media. ^ Main, Douglas. "3-D Scanning Comes to the Doctor, and the Paleontologist, and the Fashion Runway". Newsweek. Newsweek LLC. ^ Boyle, Alan. "How 3-D Scanners and 3-D Printers Unlock Prehistoric Secrets". NBCNews.com. NBC. ^ McCue, T.J. "The Ultimate Selfie From Shapify.me". Forbes. ^ Mearian, Lucas. "3D full-body scanning booth to create custom figurines". ComputerWorld. Computerworld, Inc.
^ Scharr, Jill. "Capture '3D Selfies' with Shapify Booth". Tom's Guide. Purch. ^ Harding, Xavier. "HOW I MADE A 3D-PRINTED FIGURINE OF MYSELF". Popular Science. Bonnier Corporation. Retrieved 10 February 2016. ^ Chan, Marcus. "First Selfies, Now Shapies? Scanning Booths Capture the Moment in 3-D". Bloomberg Business. Retrieved 10 February 2016. ^ Wei, William. "This machine lets you take 3D selfies and it's already a big hit in the UK". Business Insider. Retrieved 10 February 2016. ^ a b c d e Dean, Al. "Review: Artec Eva & SpaceSpider". Develop 3D. X3DMedia. Retrieved 8 April 2016. ^ a b Knicker, Mike. "3D Scanning Basics: How Structured Light Scanning Works". QPlusLabs. Retrieved 8 April 2016. ^ Nutt, Amy. "Fossils point to new species of human kin". The Gazette. Retrieved 8 April 2016. ^ a b "Eva 3D Scanner delivers accurate color and structure data without markers". 3ders.org. Archived from the original on 5 May 2016. Retrieved 19 April 2016. ^ a b Holmes, Stephen. "3D Scanners". Develop3d.com. X3DMedia. Retrieved 11 April 2016. ^ a b Johnson, Nancy Spurling. "Spider 3D Scanner Targets Small, Intricate Objects". Cadalyst. Retrieved 13 April 2016. ^ Rowe, Jeff. "SolidWorks 2015 Best of Show Hardware and Software". MCAD Café. Retrieved 13 April 2016. ^ Davies, Sam (2018-03-21). "Artec 3D introduces Artec Ray 3D scanner for large object digitisation". TCT Magazine. Retrieved 2019-01-24. ^ Mayo, Sarah (2018-04-25). "Exact Metrology Introduces Artec Ray Laser Scanner". Industrial Machinery Digest. Retrieved 2019-01-24. ^ "Artec announces new 3D Ray lidar for AEC & reverse engineering, new Geomagic integration". SPAR 3D. 2018-04-27. Retrieved 2019-01-24. ^ "New Artec Ray 3D scanner lets you digitize large-scale objects with the touch of a button". 3ders.org. Retrieved 2019-01-24. ^ N19 4DR, DEVELOP3D, X3D Media Ltd 465C Hornsey Road, 1st floor, Unit 7, London. "DEVELOP3D blog - Artec 3D launch Ray: A LiDAR scanner". DEVELOP3D. Retrieved 2019-01-24. ^ "Artec Remote". App Store. Retrieved 2019-01-24. ^ Tepper, Fitz. "Artec 3D at CES 2016". TechCrunch. Retrieved 11 April 2016. ^ Sheldon, Andrew. "Tom the Builder: Personalized 3-D Printing helps Kaps create individual, lifelike figures". NJBiz.com. Retrieved 11 April 2016. ^ Wei, William. "This machine lets you take 3D selfies and it's already a big hit in the UK". Business Insider. Retrieved 11 April 2016. ^ a b Grunewald, Scott. "Watch Me Get 3D Scanned in Full Color at the Artec Group's Shapify Booth". 3D Printing Industry. Archived from the original on 25 April 2016. Retrieved 13 April 2016. ^ a b "3D face recognition for International Sochi Airport". Planet Biometrics. Retrieved 11 April 2016. ^ Spenser, T’ash. "Artec ID introduces new 3D facial recognition technology". Biometric Update. Retrieved 11 April 2016. ^ a b Scott, Clare. "A Preview of Artec 3D's Studio 11 Software for the Masses at RAPID 2016". 3DPrint.com. 3DR Holdings. Retrieved 31 August 2016. ^ Maxey, Kyle. "Artec 3D Updates Its 3D Scanning Studio". Engineering.com. Retrieved 31 August 2016. ^ a b Holmes, Stephen. "First Look: Artec Studio 11 - automation added to 3D scan post processing". DEVELOP3D. X3DMedia. Retrieved 31 August 2016. ^ Wong, Kenneth. "Space Spider and Artec Studio 11 with Autopilot: 3D Scanning Made Easy". Desktop Engineering. Peerless Media. Retrieved 31 August 2016. ^ Hall, Nick. "Artec 3D releases Studio 11 scanning suite". 3D Printing Industry. Retrieved 31 August 2016. ^ Cross, Tony. "Artec ScanApp beta". GoodReports.biz. Retrieved 31 August 2016. ^ "Scanning SDK Adapts Software For Use With Handheld 3D Scanners". Electronic Design. Penton. Retrieved 31 August 2016. ^ Millsaps, Bridget. "Researchers Combine Robotics & Artec Spider for Unrivaled 3D Scanning of Complex Shapes". 3DPrint.com. 3DR Holdings. Retrieved 31 August 2016. ^ "Fitness Test for Old Water Pipes". World Water. Retrieved 22 April 2016. ^ "How to Assess Aging Pipes". Product Design & Development. Retrieved 22 April 2016. ^ "Scanning the Dutch navy". Naval Technology. 2017-09-24. Retrieved 2019-02-06. ^ Grossman, David (2017-10-02). "Why the Dutch Navy Is 3D-Scanning All Its Ships". Popular Mechanics. Retrieved 2019-02-06. ^ "Patient Information". The London Orthotics Consultancy. Retrieved 19 July 2016. ^ Pederson, Amanda. "Ottobock reselling Artec 3-D scanners for prosthesis manufacturing". Medical Device Daily. Retrieved 25 April 2016. ^ "Changing the Face of Plastic Surgery". Desktop Engineering. Retrieved 25 April 2016. ^ "Giant fossil gets renewed life with 3D scans". Fox News. Retrieved 22 April 2016. ^ Hodgkins, Kelly. "3D printing companies work to preserve over 55 species of endangered birds". Digital Trends. Retrieved 7 April 2016. ^ "Artec Group and CyArk have partnered to preserve cultural heritage". Disruptive Magazine. Retrieved 13 July 2016. ^ Millsaps, Bridget. "CyArk 500 Challenge Gains Momentum in Preserving Cultural Heritage with Artec 3D Scanning Technology". 3DPrint.com. Retrieved 19 July 2016. ^ Millsaps, Bridget. "Threeding & Artec 3D Team Up to Scan Hundreds of Greek Artifacts from Private Collection". 3DPrint.com. Retrieved 19 July 2016. ^ "Homo Naledi Species Discovery in South Africa Documented with 3D Scanner". 3Printr.com. Retrieved 19 July 2016. ^ Hart, Michael. "St. Cloud State Equips Visualization Lab With 3D Scanners". Campus Technology. Retrieved 22 April 2016. ^ "Museum Studies". Mid-Pacific Institute. Retrieved 19 July 2016. ^ Milkert, Heidi. "Barack Obama Has Become the First President to be 3D Scanned and Printed". 3DPrint.com. Retrieved 19 July 2016. ^ "Legacy Effects Uses Artec's 3D Scanners to Recreate Dinosaurs". 3Printr.com. Retrieved 19 July 2016. ^ Duffy, Kaylie. "The Art of Creating Clones with Additive Manufacturing". Product Design & Development. Retrieved 19 July 2016. ^ Grunewald, Scott. "For California-Based CoKreeate 3D Scanning and 3D Printing is a Family Affair". 3DPrint.com. Retrieved 19 July 2016. A bar code reader is an electronic device that can read and output printed barcodes to a computer. Like a flatbed scanner, it consists of a light source, a lens and a light sensor translating for optical impulses into electrical signals.Additionally, nearly all barcode readers contain decoder circuitry analyzing the bar code's image data provided by the sensor and sending the barcode's content to the scanner's output port. Backscatter X-ray is an advanced X-ray imaging technology. Traditional X-ray machines detect hard and soft materials by the variation in x-ray intensity transmitted through the target. In contrast, backscatter X-ray detects the radiation that reflects from the target. It has potential applications where less-destructive examination is required, and can operate even if only one side of the target is available for examination. VueScan is a computer program for image scanning, especially of photographs, including negatives. It supports optical character recognition (OCR) of text documents.. The software can be downloaded for free, but a watermark is placed on all scans until the user purchases a license. Scanography, more commonly referred to as scanner photography, is the process of capturing digitized images of objects for the purpose of creating printable art using a flatbed "photo" scanner with a CCD array capturing device. Fine art scanography differs from traditional document scanning by using atypical objects, often three-dimensional, as well as from photography, due to the nature of the scanner's operation. A full-body scanner is a device that detects objects on a person's body for security screening purposes, without physically removing clothes or making physical contact. Depending on the technology used, the operator may see an alternate-wavelength image of the person's naked body, or merely a cartoon-like representation of the person with an indicator showing where any suspicious items were detected. For privacy and security reasons, the display is generally not visible to other passengers, and in some cases is located in a separate room where the operator cannot see the face of the person being screened. 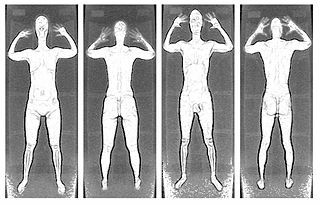 Unlike metal detectors, full-body scanners can detect non-metal objects, which became an increasing concern after various airliner bombing attempts in the 2000s. Industrial computed tomography (CT) scanning is any computer-aided tomographic process, usually X-ray computed tomography, that uses irradiation to produce three-dimensional internal and external representations of a scanned object. Industrial CT scanning has been used in many areas of industry for internal inspection of components. Some of the key uses for industrial CT scanning have been flaw detection, failure analysis, metrology, assembly analysis and reverse engineering applications. Just as in medical imaging, industrial imaging includes both nontomographic radiography and computed tomographic radiography. A 3D printing marketplace is a website where users buy, sell and freely share digital 3D printable files for use on 3D printers. 3D printing marketplaces have emerged with the fast-growing segment of consumer 3D printers. Currently, the existing 3D printing marketplaces are handful and they make progress mostly in the enterprise sector.